Peter Obi, the vice presidential candidate of the Peoples Democratic Party, PDP, in the 2019 election, has lamented Monday’s (April 8) fire incident at the Arrival Section of the Sam Mbakwe International Cargo Airport Owerri, Imo State, calling on the federal government to investigate the incident. 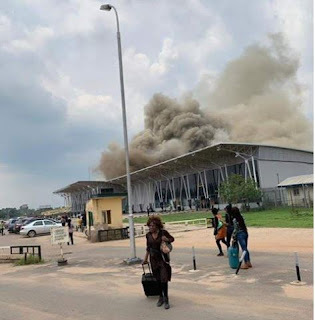 The former Anambra State governor said it was painful to watch the accompanied damage to the airport by the fire incident. “This and similar incidents being witnessed in the country call for the intensification of efforts towards the protection of the few functional infrastructure in the country,” Obi said Tuesday, April 9 morning via his media office.